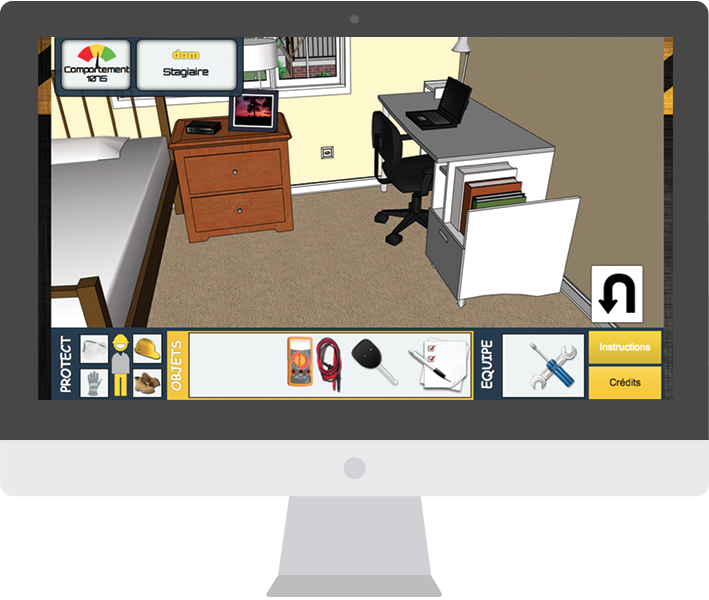 In the PM Game you take the role of a project manager and manage an entire virtual project. 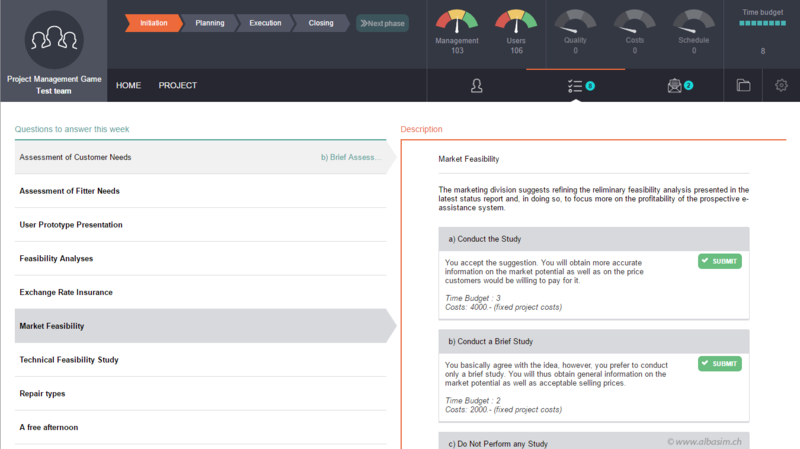 The educational concept includes computer-based simulation, teamwork (solution searching, production of documentation) and real-world role-playing (selling the project to clients, reporting to the steering committee). 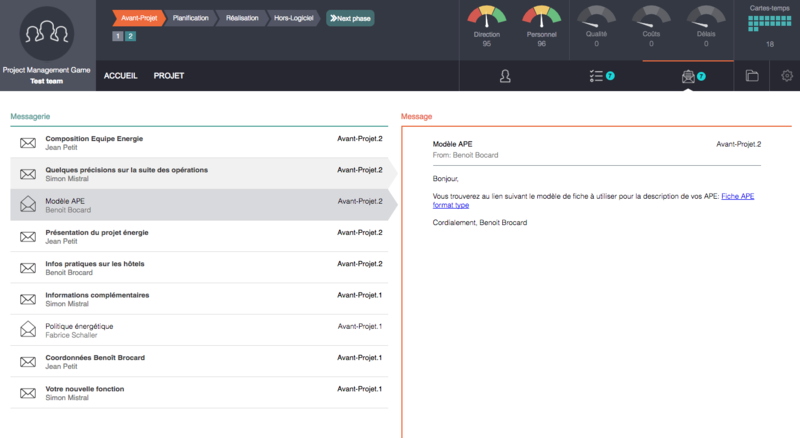 The PM-Game can be used on the basis of license purchases. The price depends on the number of training participants. You work at Artos Inc., an international manufacturer of machine tools. It’s up to you to transform an innovative idea into a concrete realization. 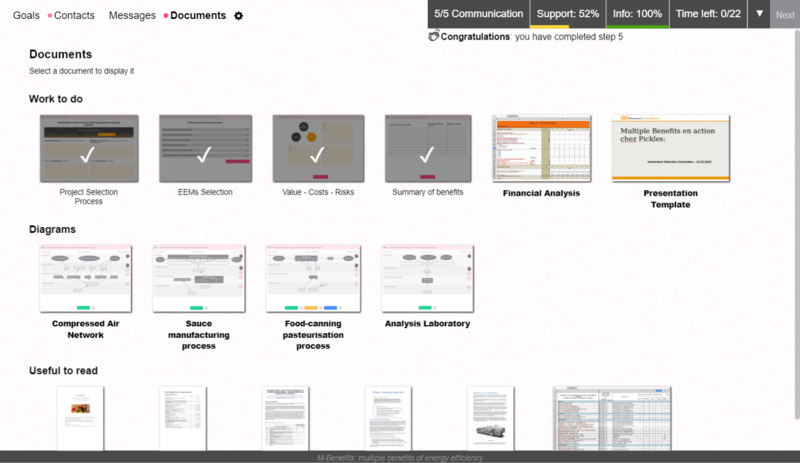 You will have to define objectives, estimate benefits, plan and master the execution. You are given the mandate to create a new medical facility that will be open 24 hours a day. 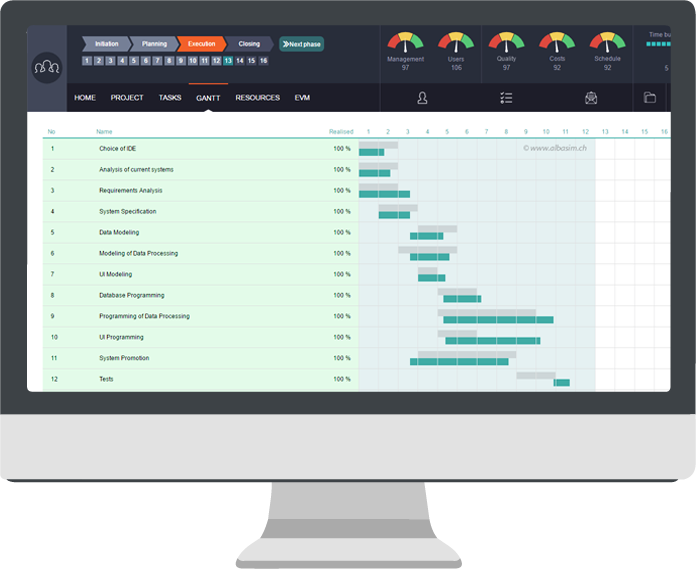 You will have to convince all stakeholders, to plan and monitor project delivery. 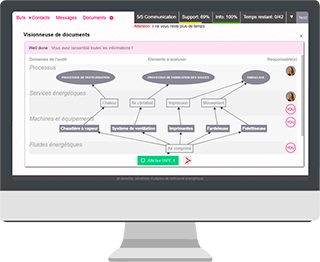 This scenario integrates the specificities of the public sector as it was developed in collaboration with CEP (Centre d’Education Permanente) and CHUV (Centre Hospitalier Universitaire Vaudois). Your foundation wants to respond to a tender call by proposing an awareness campaign on computer addiction. You will have to set up the project proposal, get the different participants on board, plan the campaign and monitor its implementation. This scenario integrates the Logical Frame Approach (LFA). 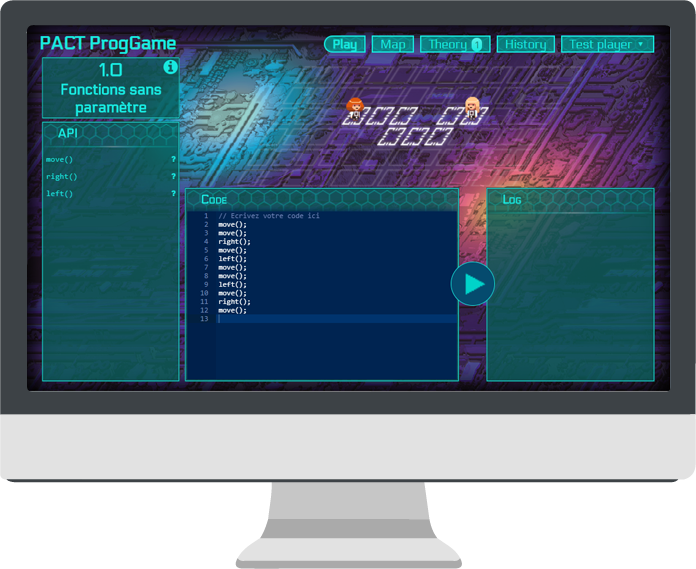 The Programming Game is being actively developed in the frame of the “Programming and Computational Thinking” project funded by the Hasler Foundation. The game is the result of a collaboration between AlbaSim and LIP (University of Fribourg, Switzerland). 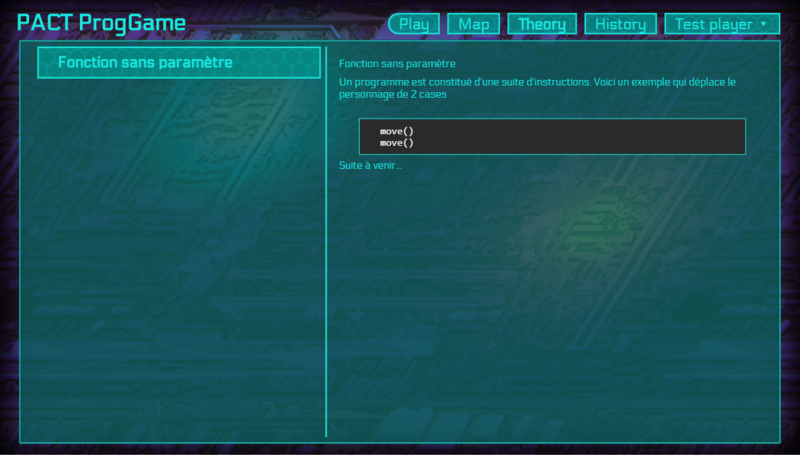 The Programming Game is available for free at wegas.albasim.ch (currently in an older version than shown here). 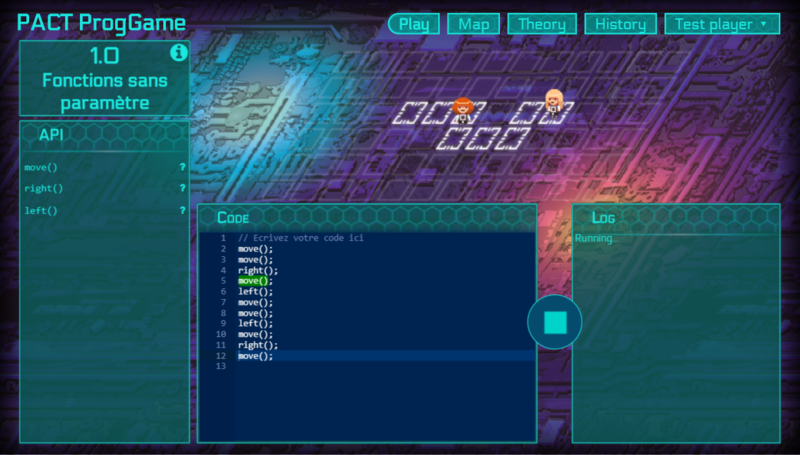 If you are a teacher and would like to have a “trainer account” to follow your students’ work in real time inside the Programming Game, please use the contact form. Credits to Swan Keller for the graphical design of the game. 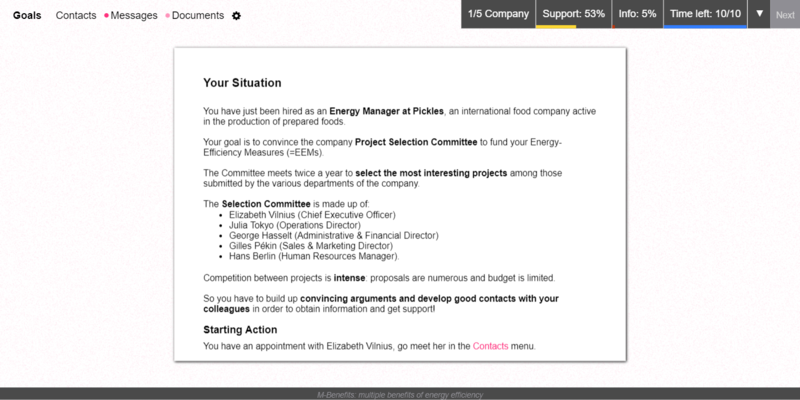 In the M-Benefits game, you are hired as an energy manager at Pickles, an international company involved in the production of canned food. 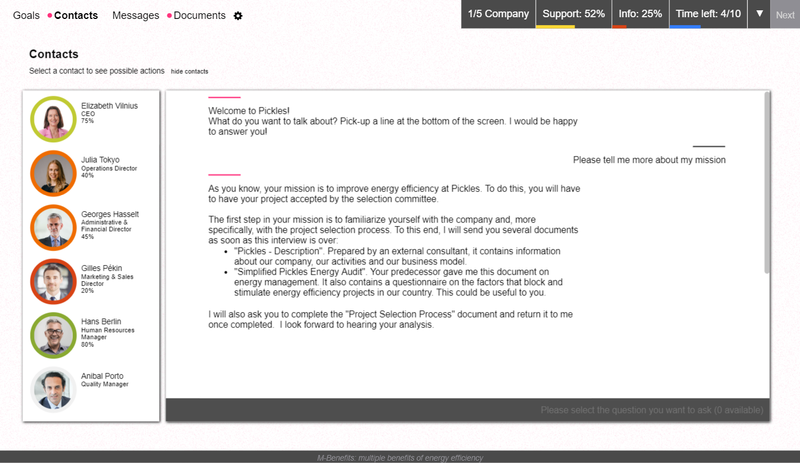 Your objective is to convince the company’s Project Selection Committee to finance your Energy Efficiency Measures (EEMs). 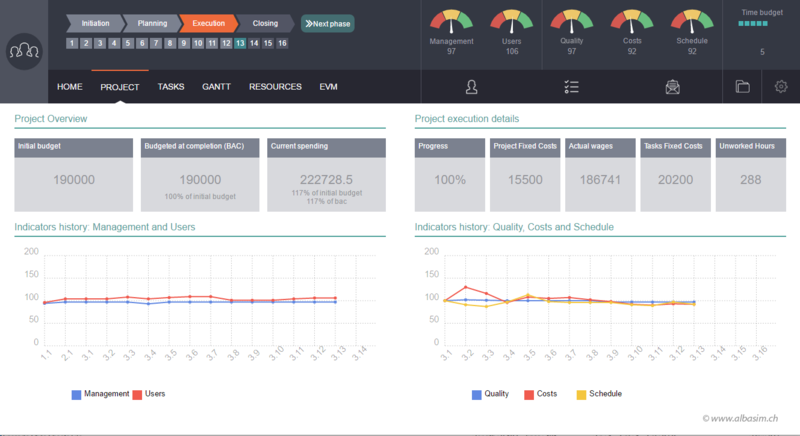 Competition between projects is intense: there are many proposals and limited budgets. It is therefore necessary to gather convincing arguments and develop good contacts with your colleagues in order to obtain information and support! 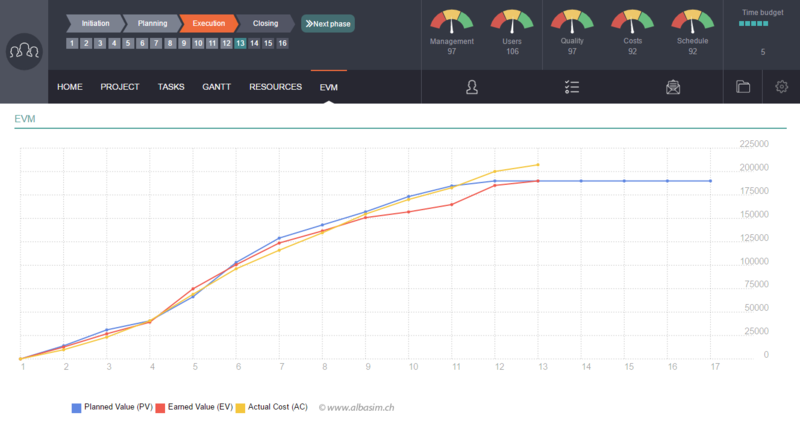 This game is a deliverable of the M-Benefits (Multiple benefits of energy efficiency) project funded by the European Commission (Horizon 2020 framework program). 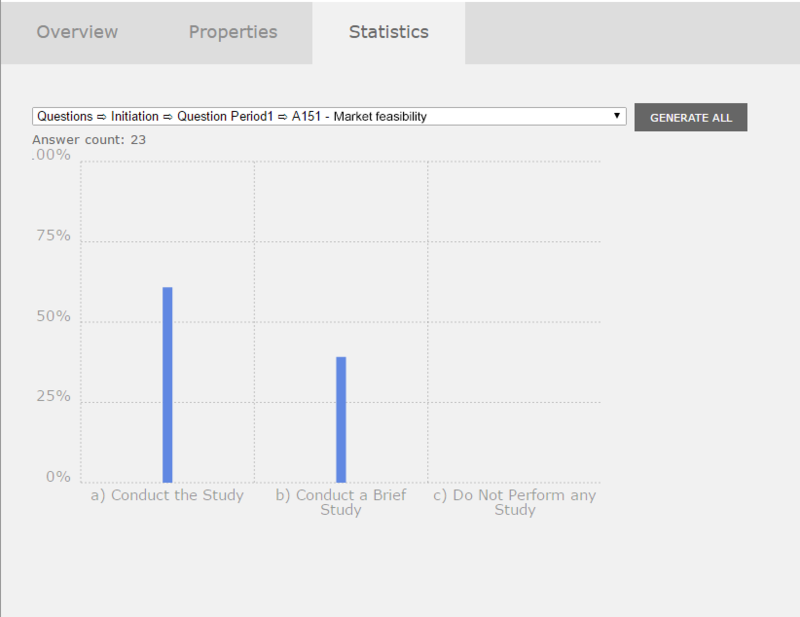 Broaden your analysis from a technical approach to a business management approach. 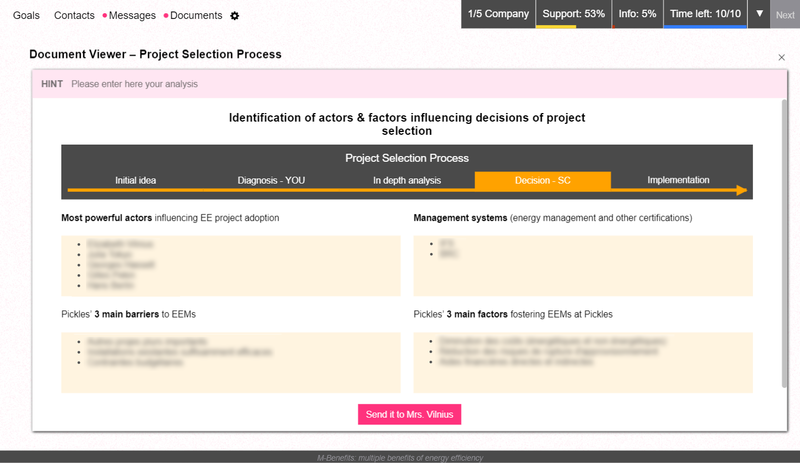 Identify the energy-efficiency measures that will convince your company’s top management. 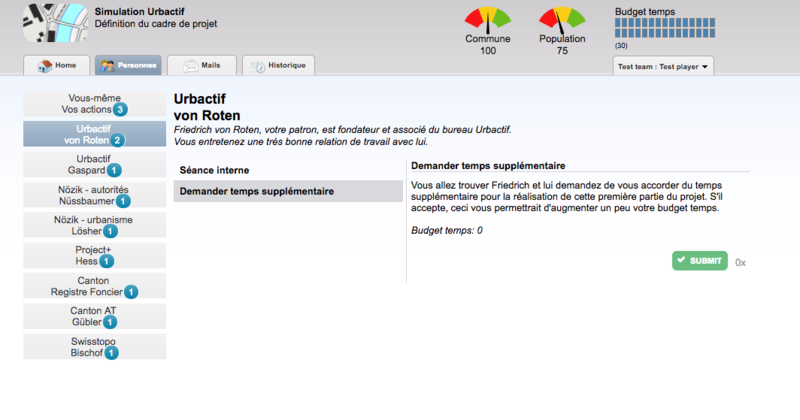 The M-Benefits game is available on wegas.albasim.ch. 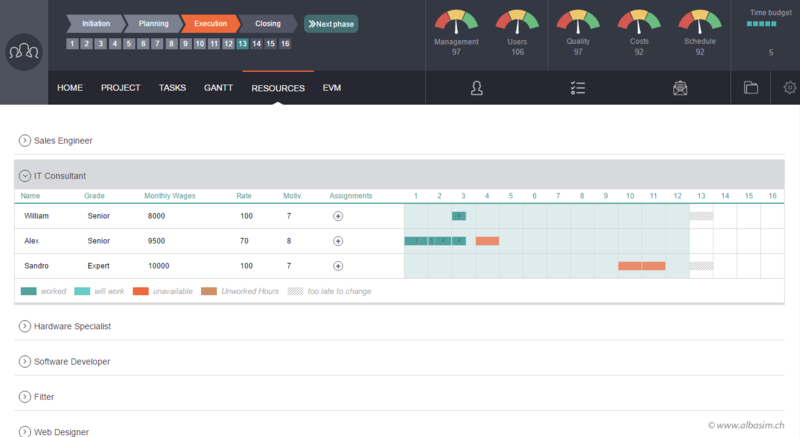 If you are a teacher and would like to have a “trainer account” to follow your students’ work in real time inside the game, please use the contact form. 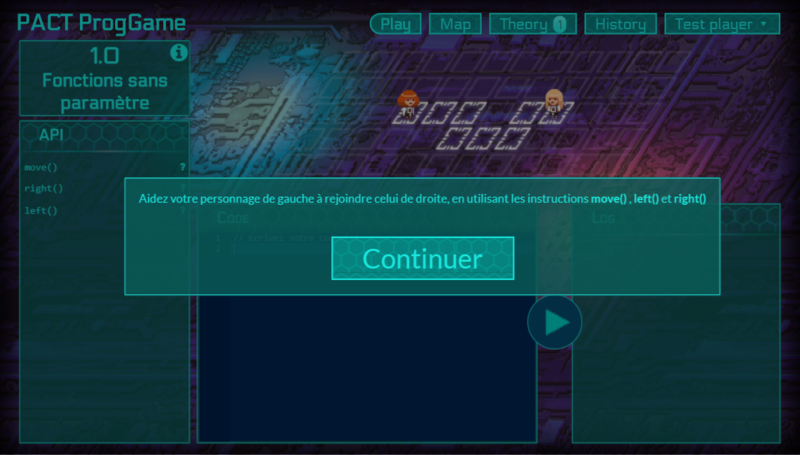 This game is currently playable in English and French. 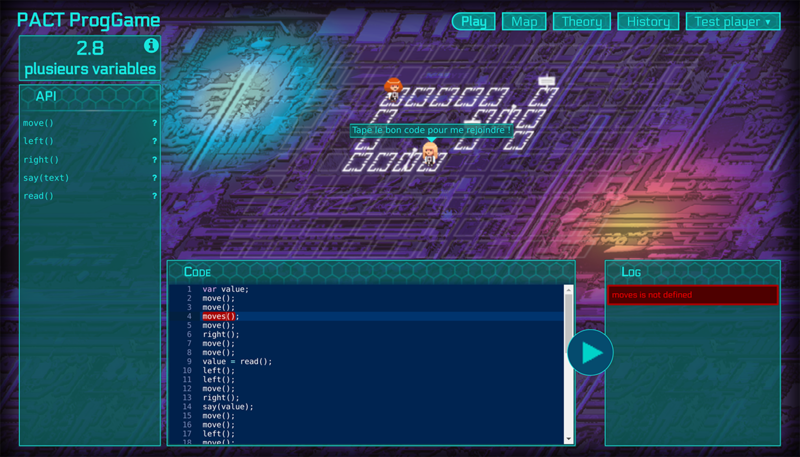 Additional languages will be available soon (German, Greek, Italian, Swedish, Polish, Portuguese, …). In this simulation, you have to take care of a patient who came to the emergency room with complaints of chest pain. 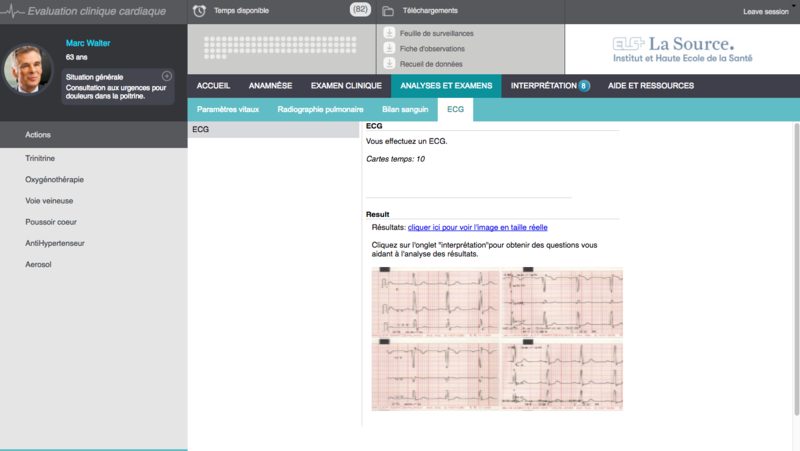 You can interview the patient to take a history, conduct medical examinations such as heart auscultation or pulse-taking, and request radiographies or an ECG. Then you will have to interpret the results and will be allowed to perform actions such as giving an oxygen therapy or placing a central venous catheter. 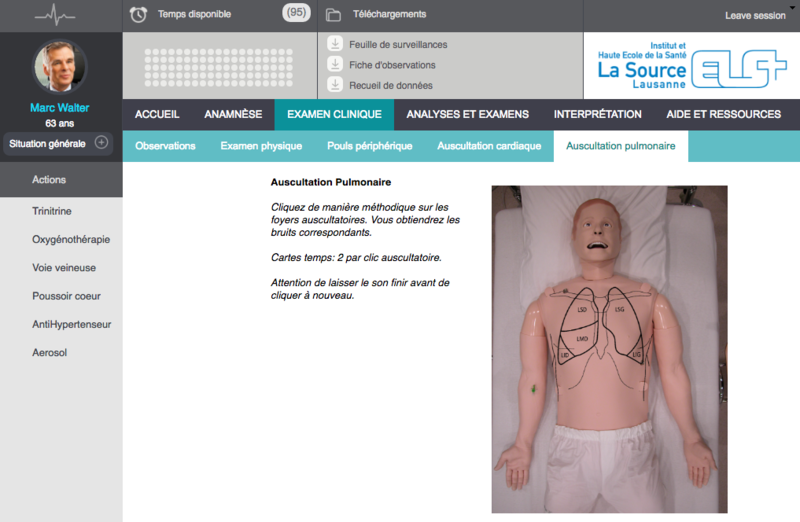 This simulation was developed in close partnership with La Source School of Nursing Sciences (Haute Ecole de la Santé La Source). 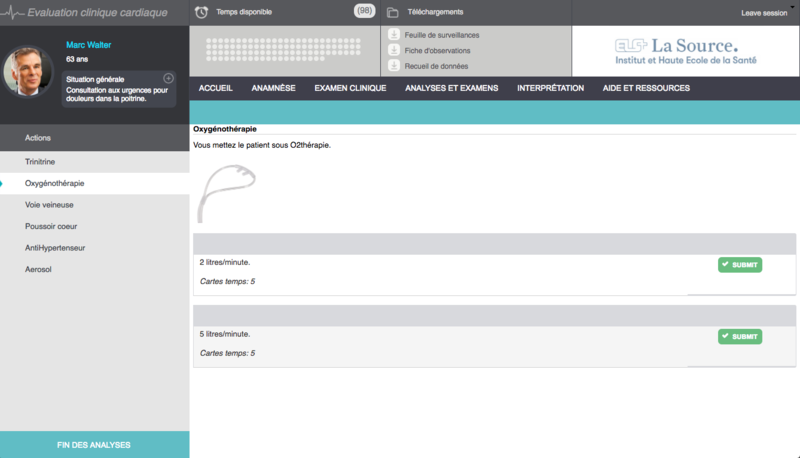 To develop the ability to provide the patient with comprehensive care. Interested trainers are kindly requested to get in touch using the contact form. 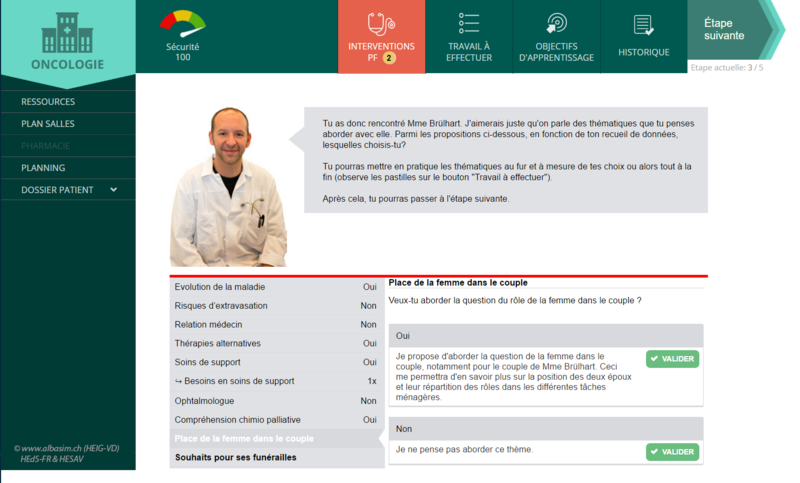 This serious game was developed in close partnership with La Source School of Nursing Sciences (Haute Ecole de la Santé La Source). You work as a trainee lawyer in the Bonnechance law firm. Your training supervisor asks you to welcome a new client and to provide counsel on the creation of a new company. 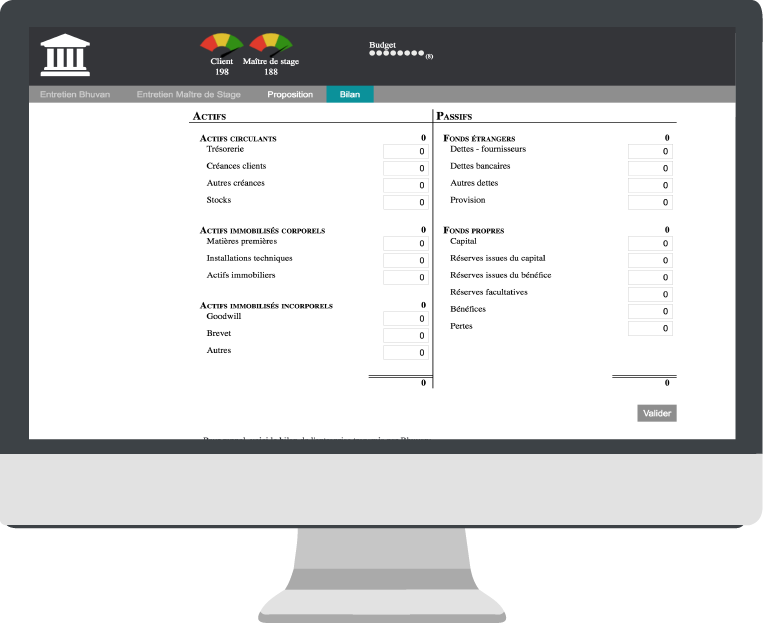 This simulation was developed in collaboration with the Faculty of Law of the University of Geneva. Interested trainers are kindly requested to contact us via the contact form. 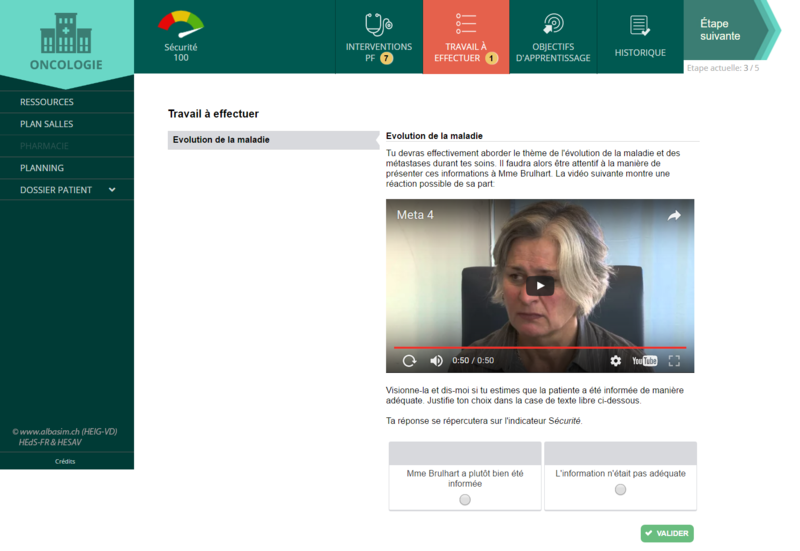 This simulation was developed in close collaboration with the Faculty of Law of the University of Geneva. 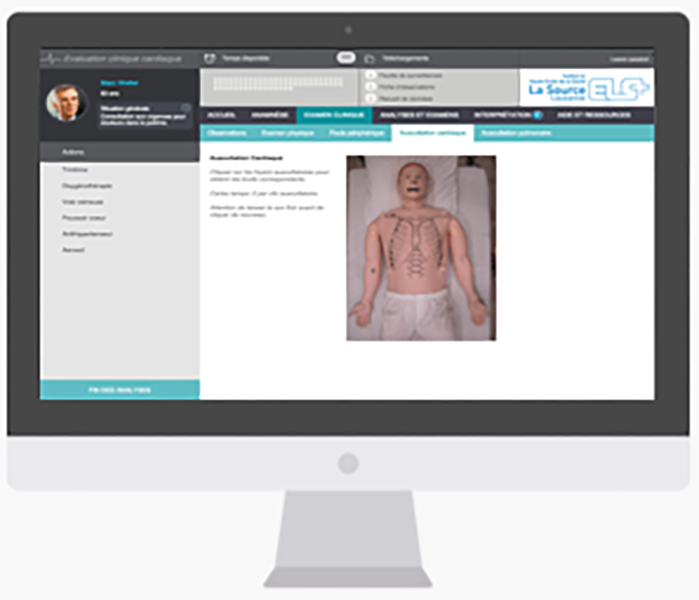 In this simulation, you play the role of a nursing trainee who is assigned to take care of a patient coming for an ambulatory cancer treatment. 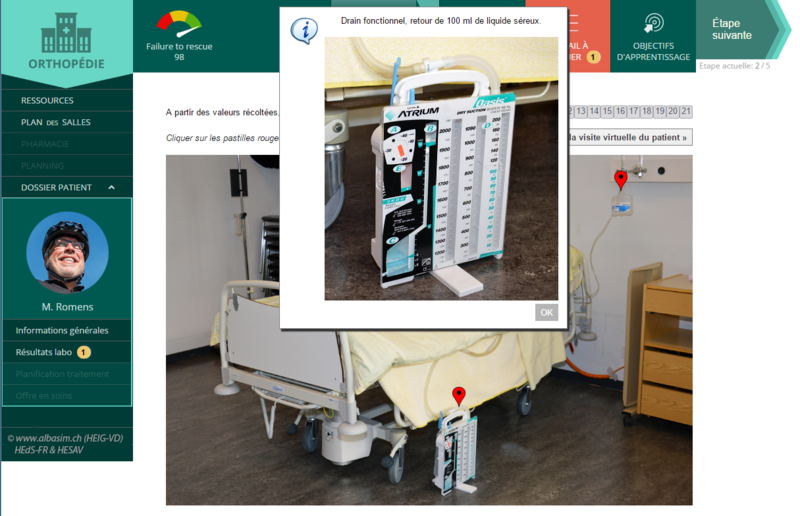 This simulation was developed in collaboration with two schools of nursing sciences: Haute Ecole de Santé Fribourg (HEDS-FR) and Haute Ecole de santé du canton de Vaud (HESAV). 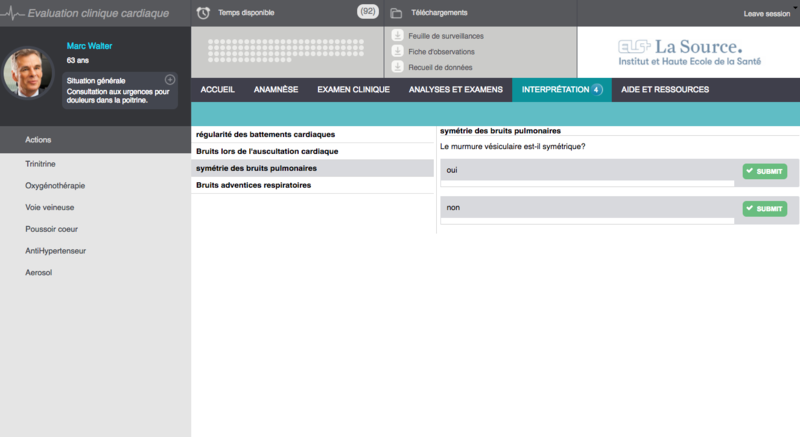 This simulation was developed in close collaboration with two schools of nursing sciences: Haute Ecole de Santé Fribourg (HEDS-FR) and Haute Ecole de santé du canton de Vaud (HESAV). 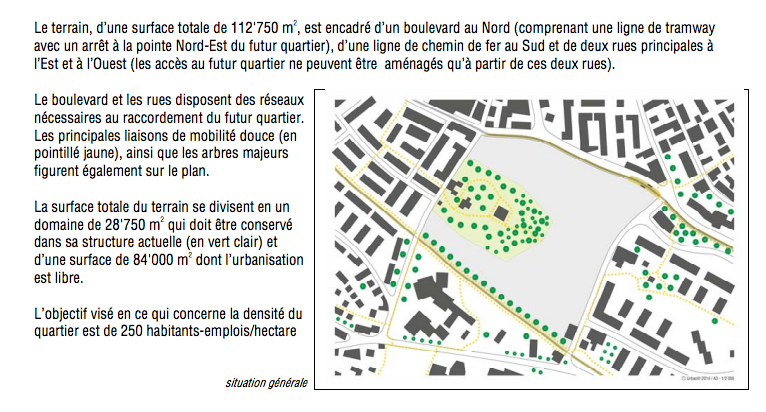 As an urban planner of the Urbactif planning office, you have been mandated with the development of the new district of Nözick. Express your creativity, while taking into account a wide range of legal, political, social or architectural constraints. Please get in touch via the contact form. 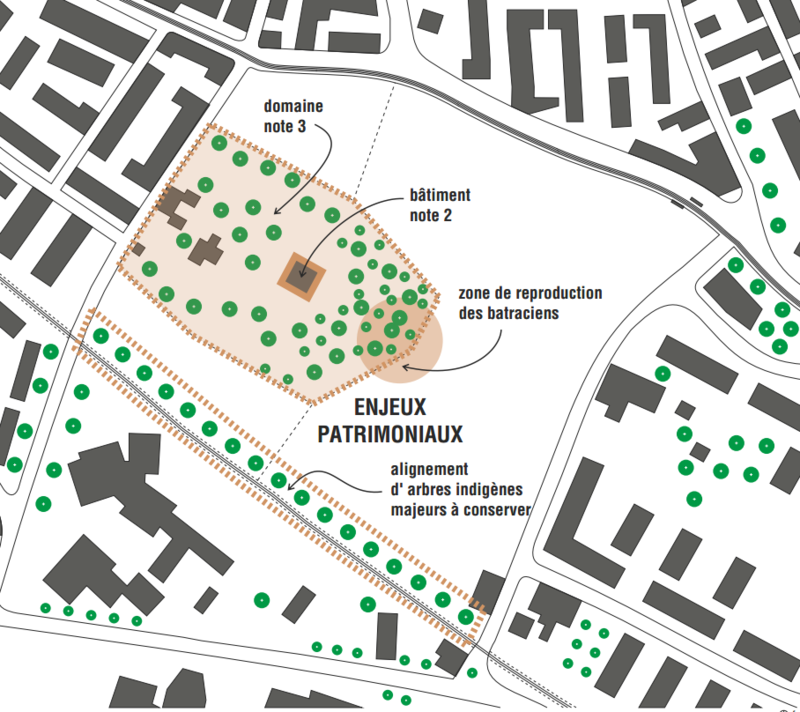 This project was developed in collaboration with the Faculty of Geosciences of the University of Lausanne as well as the architectural practive TRIBU. 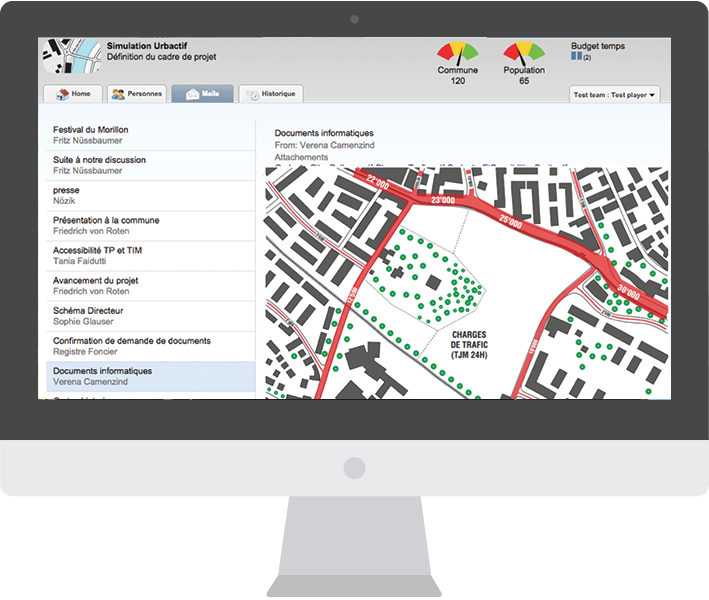 The project was financed by the Fonds d’Innovation Pédagogique of the University of Lausanne. 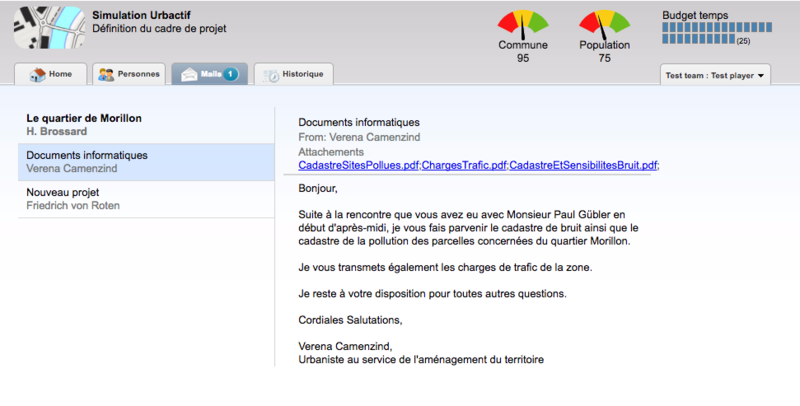 You are appointed energy manager. 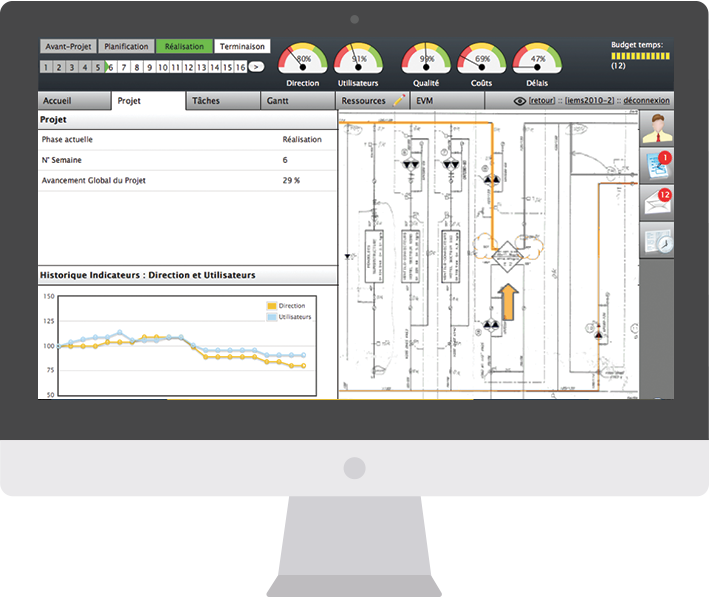 Your mission is to set up a global energy management system and to obtain the ISO 50’001 certification. 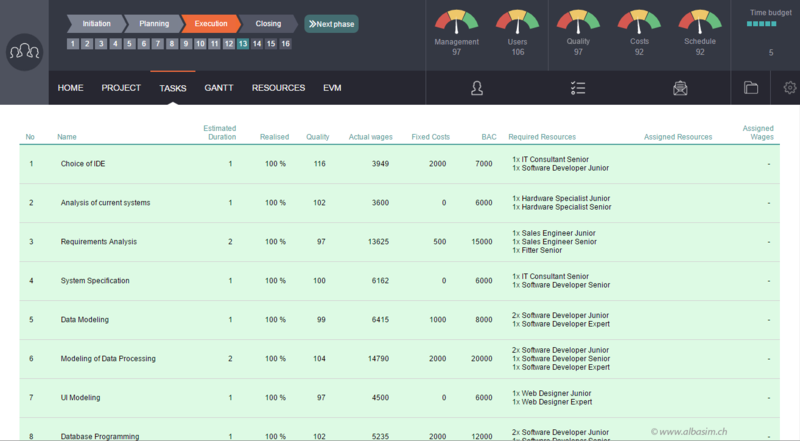 You interact with different stakeholders (general manager, technical director, auditors) and access documents (technical audits, meter readings, business strategy). 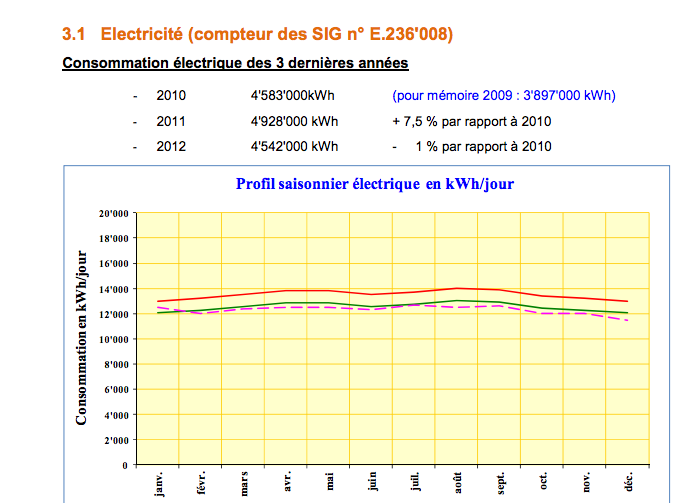 You will have to propose a range of actions to improve energy performance and to monitor their implemention. 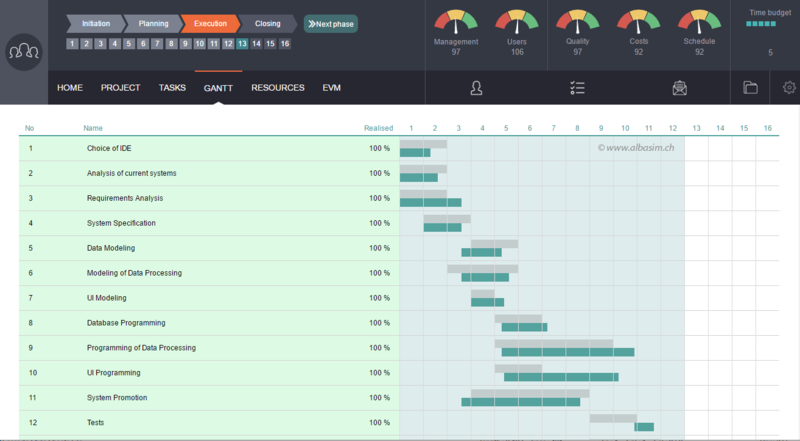 ManagEnergy is a multidisciplinary simulation that integrates strategic, technical, organisational, human and economic aspects. Any persons interested can contact us using the contact form. 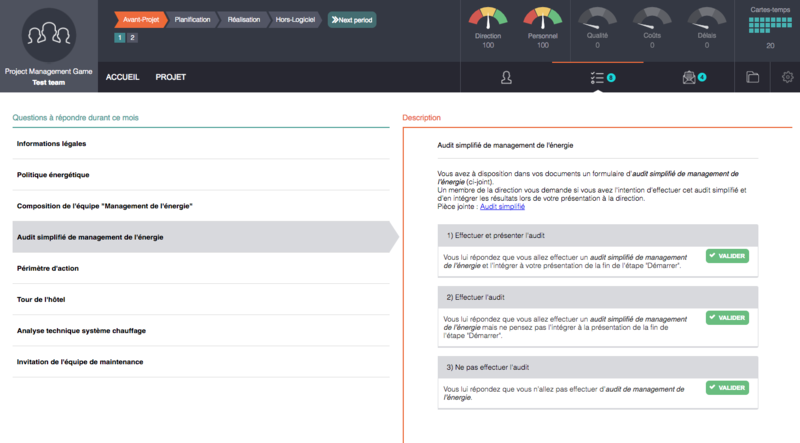 ManagEnergy was developed in collaboration with the Institute of Environmental Sciences (ISE) of the University of Geneva and was used for the Certificate of Advanced Studies in energy management. 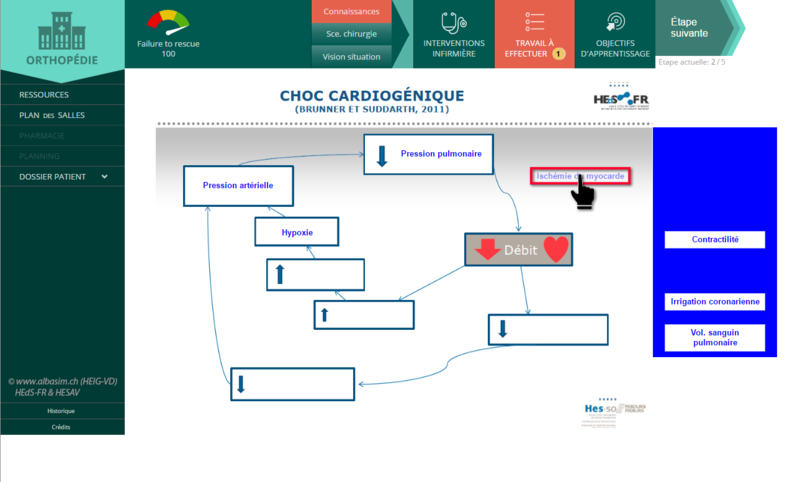 Thanks to : This project was made possible thanks to the financial support of the Academic Innovation Fund of the University of Geneva (FIA) and Prof. Bernard Lachal of ISE/Faculty of Sciences of the University of Geneva and HEIG-VD. A crime has been discovered and you are in charge of investigating the crime scene. You will have access to the elements collected there (fingerprints, DNA, macro photos, etc.) 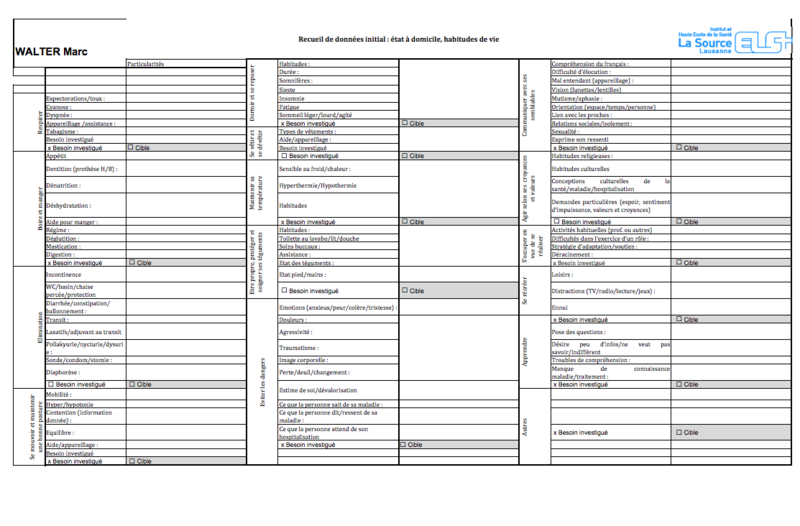 in order to analyse them and take a position on the main investigation options. CrimeSim is reserved for tutors that are specialists in the domain of crime scene investigation. 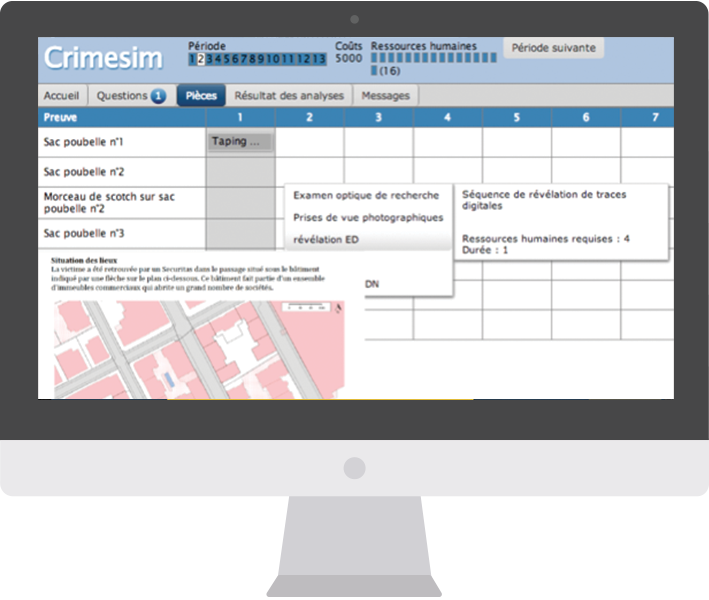 CrimeSim was developed in collaboration with the Faculty of Criminology of the University of Lausanne (UniL), and supported by the Education Innovation Fund of UniL. As an electrician, you carry out interventions for different clients. You want to show that you are capable of working efficiently while respecting the rules of electrical security. To raise awareness of electrical safety. Please get in touch with us via the contact form. 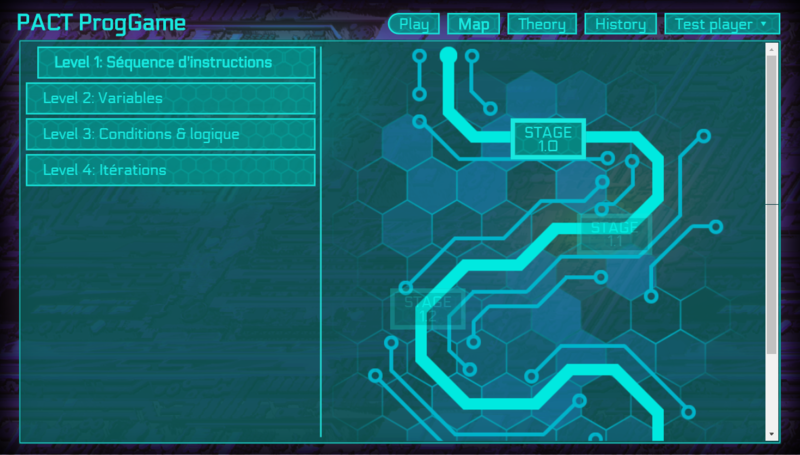 This serious game was developed by Guillaume Lehmann for his Bachelor’s thesis, in collaboration with the EGEL Company.